We deliver for FREE to most UK postcodes on all orders over £100.. To check if and when we can deliver your order, please use our 'Choose a Delivery Day' service on each of our product pages. Here you will also find out if your postcode qualifies for free delivery. The only places we do charge for delivery are the most Northern parts of the UK including parts of Scotland, some areas of Wales, and some postcodes in the Southern areas of England, the rest of mainland UK should receive FREE delivery. 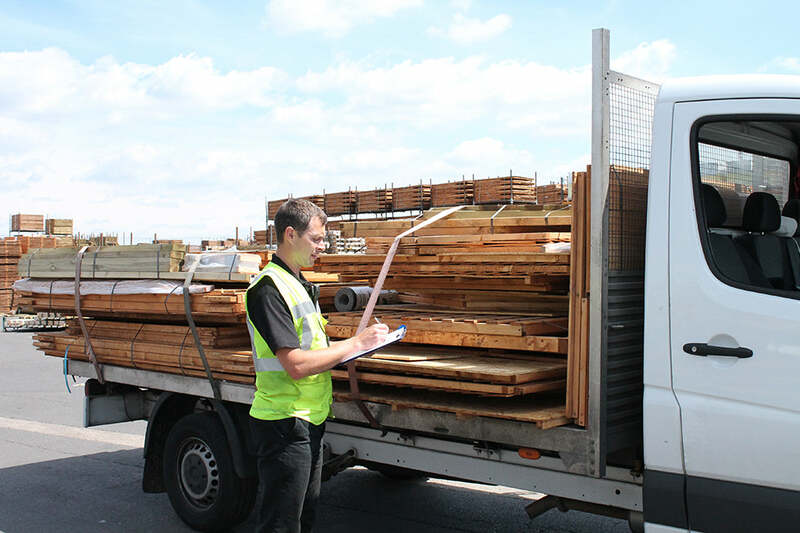 If you think you are out of the free delivery areas please give our sales team a call on 0800 029 1000 who will be able to tell you how much it will cost for delivery. 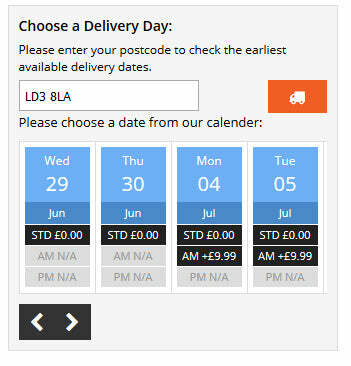 You will find a 'Choose a Delivery Day' entry box on every product page. This service will tell you when we can deliver to you and whether it's free or not. Simply enter your postcode and click the 'delivery van' to see a list of available dates. We do not deliver to any UK Islands but we do offer a Port Drop Off. We will deliver your order to the port of your choice. You will then have to arrange your own delivery from then on. If you need any help or have any more questions about our delivery services please contact our Sales Team on 0800 029 1000 or by email on websales@waltons.co.uk.